Finished socks, an almost finished sweater, a cranberry recipe, and lots of knitting tips in this episode! Join the community on Ravelry and be part of the conversation! 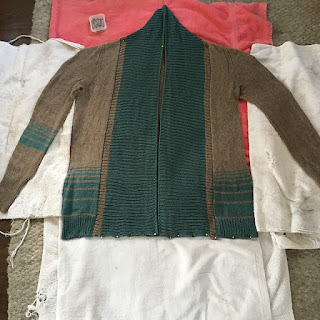 Kelly has been working to finish the Running Water cardigan. The sleeves are almost finished and then it will be finished! She hopes to have it finished by the time this episode is published. (It did get finished before publication! 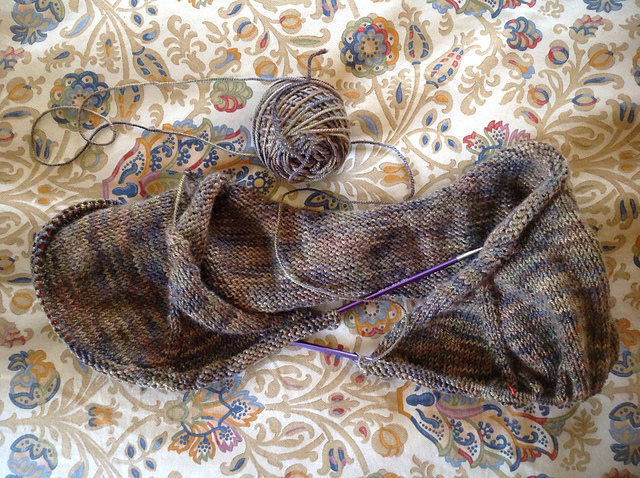 Here it is blocking. Kelly raves about the Sockhead Cowl she made out of Tassie Merino from Carrie at Handmade Travels. The scrumptiously soft yarn is sourced from White Gum Wool in Australia. It was made in summer but she just started wearing it. Kelly discovered she could twist the cowl in the middle and fold it into a hat! Another rave is for the Mama Stamberg cranberry relish (with onion and horseradish) that Kelly will be making for Thanksgiving. It’s been a staple on her Thanksgiving table for about 20 years. Kelly has also joined the Jane Stafford Online Weaving Guild and is excited to get back to the loom. The guild has an annual membership that gives weavers access to previous seasons of videos and also the current season of videos as they come out. At $75 Canadian it is a great value! The price will be increasing to $99 on December 7th so if you’ve been waffling about joining, now is the time! The Weave podcast had a really interesting interview with Jane Stafford about the online guild and how it works. Marsha finished the afterthought socks. She is not a fan of the method of afterthought everything, but they are done and she learned a lot. 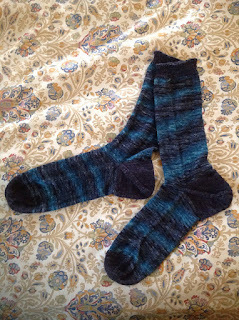 She cast on a pair of her standard socks using destash Austermann Step yarn from the NoCKRs retreat. She also cast on Cloud Cover, an open front cardigan by Heidi Kirrmaier. Marsha also talked about her new yarn from a local indie dyer Little Fish Stitches from Aberdeen, Washington. If you thought the hat tip was good, wait until you see these tips! While talking about Cloud Cover, Marsha shares some tips for avoiding gauge issues between flat knitting and knitting in the round. She also shares a tip for casting on in the round. Knit a few rows first, and then join in the round. Sew up the gap later. This helps to avoid twisting when joining and also alleviates some of the awkwardness of trying to join in the round with small needles and small stitches. She’s doing it with a sock she just started. The Learn Along ends November 30. Book Giveaway ends December 16. There are now TWO Seattle book events for Raw Material: Working Wool in the West. Stephany will be at the Seward Park branch of Third Place Books for an author event on November 28 at 7 pm and on November 29 from 5-7 pm she will be at the Eileen Fisher Renew Store for a panel discussion and book signing including Kathy Hattori of Botanical Colors. Kelly first heard about Kathy’s work on the Weave podcast.